Si-Mag™ particles are silica nano-beads with superparamagnetic Fe3O4 core and SiOH outer surface modified with SiO2. Low non-specific adsorption is achieved by optimizing the size of the nanobeads, the thickness of SiO2 layer and SiOH density. 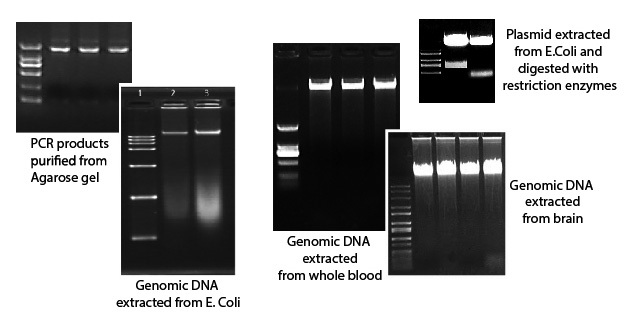 All these parameters allow to accomplish high efficiency of extraction of DNA from different samples including tissues, blood cells, bacteria and viruses. Depending on the type of bio-specimens to process, Si-Mag™ siliica nano-beads supplied with different kits represent mixtures of nano-beads of different sizes ranging from 80nm to 3 μm to allow binding of small- and large-size DNA molecules. Propriatery formulation of each nano-beads' mixture was determined by testing hundreds of different bio-specimens during several years of research. 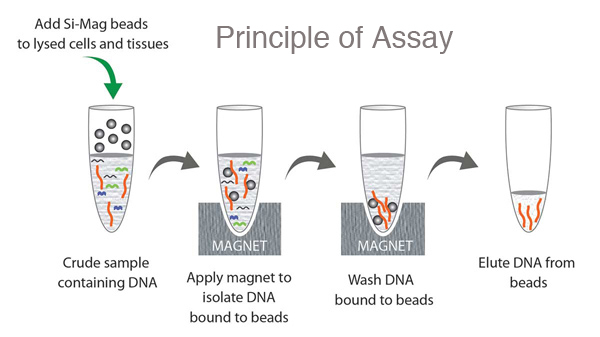 As a result we developed nano-beads with excellent nucleic acid binding properties which outperform similar products available on the market for DNA isolation.